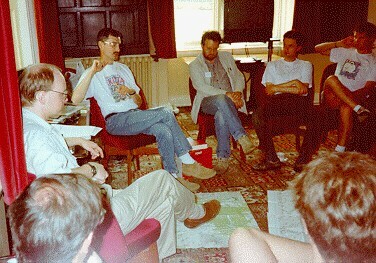 In 1980 Dr. Paddy Griffith, who was then a lecturer in War Studies at RMA Sandhurst, organised a conference entitled "New Directions In Wargaming". The conference was held at Moor Park College near Farnham, and lasted over the weekend of 23rd to 25th May 1980. 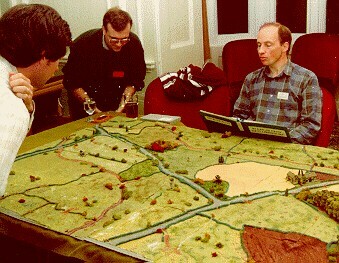 It was at this conference that Wargame Developments was founded, and it set the pattern for all the subsequent conferences. 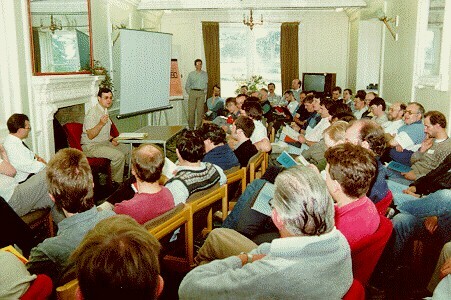 The Moor Park conference was such a success that it was agreed that an annual conference should be organised, and in June 1981 the first COW took place. 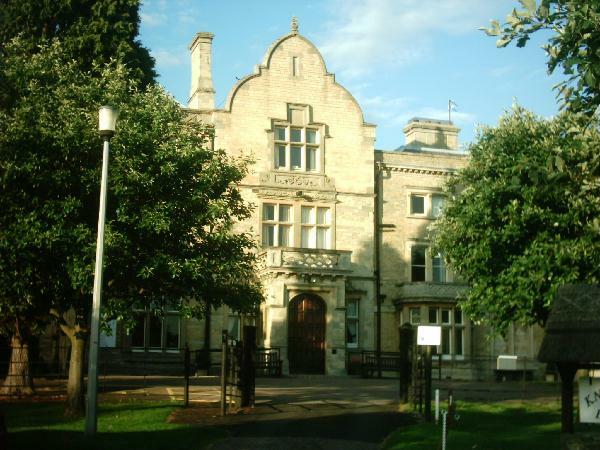 Because Moor Park College was unavailable, an alternative venue was sought and thus began WD's long association with Knuston Hall Residential College for Adult Education. Knuston Hall has proven to be a popular venue because its facilities suited the organisation's needs and requirements, and its location - in the Midlands, close to the motorway network - makes it accessible from almost anywhere in the UK. Each conference includes plenary/core, workshop, and practical sessions. All rooms have private facilities, and single rooms may be available. Attendees who require vegetarian, vegan, non-meat, or gluten free meals should contact Knuston Hall at least a week before the course begins. COW2018 will be taking place from Friday 5th July to Sunday 7th July 2019. The cost of attending COW2019 will be �0.00 (Residential) or �0.00 (Non-residential/Camping). Please note that the cost of attending COW includes the cost of the annual membership of Wargame Developments and the cost of subscribing to THE NUGGET for the year following the conference. PLEASE NOTE THAT ALL THE RESIDENTIAL PLACES FOR COW2019 ARE ALREADY BOOKED AND ATTENDESS ARE HAVING TO SHARE ROOMS. WE ARE STILL ABLE TO ACCEPT NON-RESIDENTIAL/CAMPING BOOKINGS, BUT PLEASE CONTACT COW2019 BOOKINGS BEFORE MAKING YOUR BOOKING. or send an e-mail to COW2019 Bookings. If you wish to book a place, please send a deposit of �.00 (please make your cheque payable to Wargame Developments) to the address shown above. You may also book a place by using the PayPal payment donate button shown below. If you are writing for further details about COW2019, enclose a stamped and self-addressed envelope or IRC with your letter. or send an e-mail to COW2019 Session Coordinator. You can pay fees to Wargame Developments by PayPal. A list of Hotels and B&Bs in the area around Knuston Hall can be found here. Please note that this is purely for information only and the inclusion of a Hotel or B&B on this list does not constitute a recommendation or endorsement of that Hotel or B&B by Wargame Developments, the Conference of Wargamers, or Knuston Hall Residential College.